Monitors display stock market information at the Nasdaq MarketSite in New York on Friday. (Bloomberg photo by Michael Nagle). The Dow Jones industrial average and S&P 500 index are both up about 13 percent since hitting recent lows on Dec. 24. The Dow Jones industrial average added to its January comeback with another strong day on Friday, sailing upward 336 points, or 1.4 percent, to close at 24,706. The Dow is up 5.9 percent to start 2019, and up 13 percent since its Dec. 24 recent low. The S&P 500 finished up 35 points Friday, or 1.3 percent. The S&P is up 6.5 percent for 2019 and has risen more than 13.6 percent since Dec. 24. It is having its best January since 1989. All 11 sectors in the S&P are positive for the year, led by the financial stocks. Both the S&P and the Dow have exited correction territory — a decline of 10 percent off a recent high. The Nasdaq composite is up 7.6 percent this year after jumping 1 percent Friday. Beyond the shutdown in Washington, D.C., economic news has been generally good. U.S. gasoline prices are falling. Wages are up. Inflation is down. Mortgage rates are at their lowest level in nine months. Unemployment remains at near-record lows. The booming stock market is reacting to easing tensions in the trade war between the U.S. and China and to the Federal Reserve’s more moderate attitude toward rate hikes. Earnings season just finished its first week, and while there were some signs of softening, most companies reported good results. Goldman Sachs stock had its best day in 10 years after smashing earnings expectations. 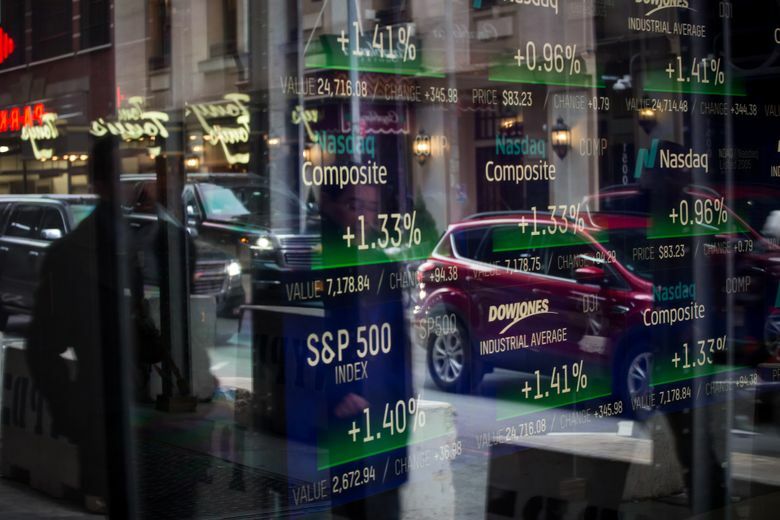 “The greatest threat to stocks would come from a downgrading of U.S. credit,” said Kristina Hooper, chief global market strategist at Invesco. And eventually, the economic impact of the shutdown will begin to spread. Everything from drug approvals to airline travel to small-business formation could be imperiled if the Trump-Pelosi feud over funding for a wall on the southern border drags on. Kevin Hassett, the chairman of the White House Council of Economic Advisers, said the shutdown should temporarily reduce economic growth by 0.13 percentage point for every week that it lasts.